The Fling Festival of assorted amusements for adults only returns to Hylands Park, Chelmsford in Essex this summer. The one day festival offers live music, cabaret, and curiosities and will take place on Saturday 6th July 2019. Acts include The Kubricks; Trojan Sound System; Oh My God! It's The Church; Crazy P (DJ set); Beans on Toast; and many more. Tickets are on sale, currently priced at £30.50. The Fling Festival isn’t all about the music, with hundreds of comedy, cabaret, side-shows and other performances taking place across the day. A playful festival specifically aimed at those aged over 18 and inhabited by the wonderful, the weird and the bizarre.  The festival stars a cast of local talent and professional artistes across myriad tents, tepees and domes. Persons under the age of 18 will not be permitted. ID may be required on the gate and those unable to produce valid identification may be refused entry without refund. The Fling (an adult’s only festival) offers an alternative to the usual night out and alongside playful activities, stars a cast of artistes who will explore, seduce and surprise your senses through performances, sideshows, poetry and much more. The Fling Festival offers a range of caterers – with a whole host of the best East Anglian produce on offer, and the festival hosts 5 bars ranging from real ale to cocktails. Shuttle bus: A dedicated Festival Shuttle Bus will operate from the city centre to the Festival throughout the day, with more buses operating just before the start and just after the end of the Festival. Tickets for the shuttle bus will need to be bought in advance from the Theatre Box Office at £3 return.